Gorgeous pictures! Loved your poetic post, beautiful pictures and poignant perspective. I live in KS, but work every few weeks in North Dakota. The work requires I come back frequently, the people make the trip worth the effort. Thank you for sharing! I have as a toddler pulled that handle many times with the help of my dad when visiting my grandparents’ home in North Dakota! I’m smiling remembering. Thanks. Beautiful words and pictures you took me to a place I’ve never visited and for this I thank you! The kitchen water pump photo froze my gaze. It really moved me. 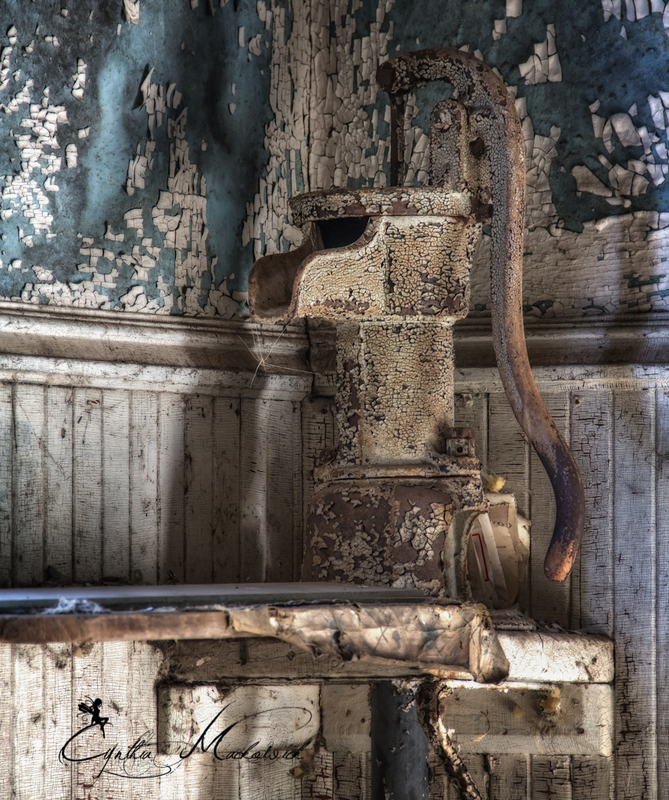 I couldn’t take my eyes off the worn surface of the pump’s handle and wondered how many tired and tested hands rocked the handle back and forth. The dried and cracked paint covering almost everything are like fragments of the landscape splitting apart. Lovely, lovely photo. Thanks for sharing the gift of your seeing. Wow- incredible imagery you just placed in my mind… A story waiting to be told. I am glad I was able to see this beauty and able to bring it to you. This house was amazing and full of character!